This meditation has the power to enable people to develop the skills of last life regression which can be applied to people’s current lives. It is useful to practice this technique when you have lost memories as these lost memories can recover the design of your true self. It is also helpful to uncover circumstances and events where egos or desires were created where there none previously existed. Sit down in the lotus position. With your arms relaxed and back straight. Or if this is not the most comfortable position for you, you can start practicing by laying down on your back. Ask the Divine Mother for guidance in this practice. 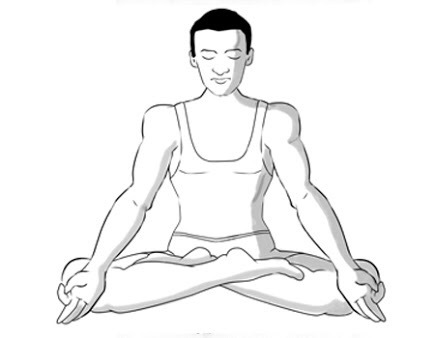 Relax your whole body by focusing in on the breath for a few minutes. Once relaxed begin to look into the most recent occurrence in your life just before you decided to meditate. Imagine these events as if you are living through them backwards, going through each event in sequence. If you cannot remember something do not dwell on it and move on to the most recent thing you can remember. An event can be eating breakfast or tying your shoes. Essentially anything you can remember is an event in your life. Continue to go through each event, by days to months to years until you find yourself at your childhood. Let the memories come but do not push the mind. If there are memories that you fear retrospecting do not fear them as going through them in a backwards fashion will render you detached from them. If you do find yourself becoming emotionally and mentally arched ask the Divine Mother to disintegrate this obstacle to your meditation. To go back into your past lives you will have to remember your moment of birth so keep practicing until you become so good at it that you are able to go back that far. What happens from then is a surprise.